Luxie: Y in the HALE am I Team Edward? Poll: What should Edward Cullen be for Halloween? Check out this week’s Twilight-Headed’s Junior League post. It was submitted by yours truly based on a podcast discussion Christen and I had on Episode 21. Thanks so much to the League of Extraordinary Twilighters! ~Melissa p.s. 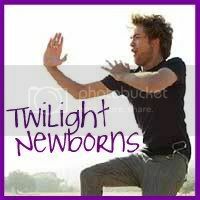 New to Twilight Newborns? 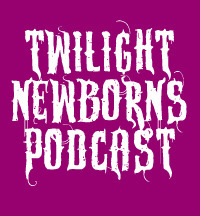 Check out our podcasts and subscribe through iTunes! Hey y’all Both the Twilight Newborns have Twitter! Follow Christen at twitter.com/ChristenNewborn Follow Melissa at twitter.com/twilightnewborn Hmm….maybe Dej should get a Twitter account.